So you’ve been struggling with foot pain. Maybe it’s a stabbing pain in your heels from plantar fasciitis, an aching ankle from rheumatoid arthritis, or a lopsided gait caused by one leg being slightly longer than the other. You’ve tried over-the-counter shoe inserts, but they don’t seem to help—at least not much. You may be in need of a custom orthotic from Foot Doctor of the East Bay to help correct, treat, or accommodate structural deformities in your feet that are the underlying source of your pain. We see many people who are in this position for the first time and are looking for more information. The truth is, many of us could probably benefit from such a device—they are often very effective at dealing with a wide variety of common foot conditions. 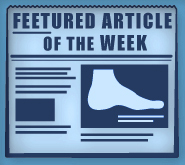 Here’s what to expect with new orthotics. Unlike over-the-counter shoe inserts, custom orthotics are specially made just for you. Every foot is different, so a device crafted to your exact specifications—molded to your precise foot shape and designed to accommodate the way you move—is almost always going to provide better, more effective results. Generic retail inserts may provide temporary pain relief, but they will not deliver the long-term results of a truly customized piece. The type and material of orthotic you need is determined by your condition and foot shape. For example, heel flares increase ankle support and prevent sprains, while toe separators protect delicate corns and calluses, and full-contact inserts may be useful for rigid toes, knee pain, or diabetic neuropathy. Orthotics designed to accommodate abnormal motion or treat traumatic injuries may be made from stiffer materials such as plastic and graphite, while those used primarily to provide cushioning and support on sensitive spots may be made from felt, silicone, rubber, or other softer materials. Here’s another thing to expect with new orthotics. It will, generally, take a little bit of time to break them in. One to two weeks is normal; there may be some minor discomfort during this period as your feet and body adjust to the biomechanical changes that the devices are making. It’s also undeniable that a prescription solution will cost a bit more than a generic insole from a retail outlet (around $400 is normal, though it will vary by style and material), but for most people the cost is well worth it. A well-made custom piece will last five years or more and will provide more effective support and treatment than an over-the-counter alternative. It can also be refurbished periodically—once every couple of years—to prolong its effective lifespan. And if you ever need new orthotics made, you can reuse the original mold rather than have your foot measured again, saving time and money. If you’re struggling with foot pain, contact Dr. Michael Stein and Zeindelin Ahmad, DPM. They can set you up with an evaluation to determine if a custom orthotic is right for you, or whether a simpler treatment option might be effective. We serve the entire San Francisco Bay Area with three convenient offices just a short hop from Oakland and San Jose. Reach us in San Leandro at (510) 483-3390, Pleasanton, CA, at (925) 425-9684, or Los Gatos, CA, at (408) 356-6767. Be sure to follow us on Facebook, Twitter, Google+, and Pinterest for the latest updates, too.